PlatinumGames, developers of Bayonetta, which came to PC last year, are working on a top-secret new project that will “turn the action genre on its head.” At a Bitsummit panel (via Dualshockers), Platinum’s head producer, Atsushi Inaba, speaking alongside Platinum co-founder Hideki Kamiya, confirmed that the studio is working on several new games. Hopefully at least one of those is a new Nier game, but both Inaba and Kimaya remained tight-lipped during the panel. While Kamiya spoke a little about his work on Bayonetta 3, Inaba explained that the studio was also working on a bunch of new games, including an unannounced title. He said that the new title will “turn the action genre on its head,” but don’t expect to see it soon – Inaba reportedly stated that the game is top-secret, and that many people at Platinum don’t yet know about it. That’s likely to mean it’s still in its very early stages of development, and may not have moved far beyond its original concept. Indeed, it could still never see the light of day at all. Inaba concluded the panel by stating that Platinum want to retain their reputation as creative, innovative developers. The company have recently been bringing a selection of their back catalogue to PC. 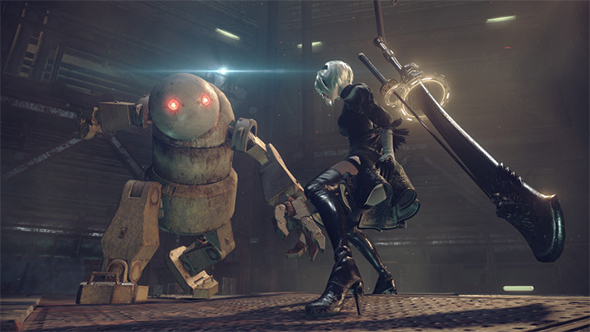 Starting with Bayonetta, which was released in 2009 for consoles, the company have since ported 2010’s Vanquish to PC, and Nier: Automata also found success on the platform. Bayonetta 3 is currently in development for the Nintendo Switch, but given current form, it could easily come to PC at some point in the future.